In recognition of his innovative work on the effects of aerosols—tiny, solid & liquid airborne particles—on clouds and climate, the American Geophysical Union (AGU) has awarded LASP scientist Brian Toon the 2011 Revelle Medal. Toon has been at LASP since 1997, where his research is focused on radiative transfer, cloud physics, and atmospheric chemistry as well as the search for similarities between the Earth and other terrestrial planets. 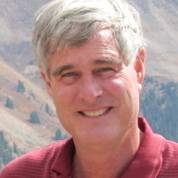 Toon is currently the Chair of the Department of Atmospheric and Oceanic Studies at CU-Boulder and is the author, or coauthor, of more than 230 papers in the reviewed literature. He has managed, or co-managed, a variety of large NASA field missions over the past 20 years, involving multiple aircraft, ground stations, and scientists from a variety of government agencies and universities. He has also been involved in numerous satellite missions. Established in 1991, the Revelle Medal is named in honor of Roger Revelle, who made substantial contributions to the awareness of global change. The award recognizes outstanding contributions in atmospheric sciences, atmosphere-ocean coupling, atmosphere-land coupling, biogeochemical cycles, climate, or related aspects of the Earth system. Toon will be honored at the annual AGU ceremony on December 7, 2011, in San Francisco.